A guest post by Monique Rubin. Valencia has a laid back, understated charm that catches you unawares. Located on the Mediterranean coast and possessed of beautiful old neighborhoods and modern architecture, it is emerging from the shadow of Madrid and Barcelona and fast becoming the go-to city in Spain. I developed a major crush on the city on a recent visit. The romance began with a walk through Valencia’s historical center, which was like taking a stroll through 2000 years of history. I entered the city just as El Cid did, through the Torres de Quart, one of the two city gates that remain from the 14th century. Next, I made my way to Virgin Square and the Cathedral Complex, where I found the Basilica of the Virgen de los Desamperados and the Cathedral of Valencia. The Cathedral, built in the 13th century on the site of a former mosque, mixes a variety of architectural styles – Gothic, Baroque and Neo-Classical – and its three portals reflect each style. The cathedral also houses what is believed to be the Holy Grail, the cup used by Christ during the last supper. The wooing continues at Lonja de la Seda. La Lonja is the old silk exchange and has to be the world’s most magnificent merchant buildings. Built in the 15th century, the Gothic building resembles a church from the outside and inside, a palace and is a UNESCO World Heritage site. La Lonja is made up of the main hall where merchants would meet, negotiate and trade, the merchant tribunal where disputes were settled and a prison for merchants who couldn’t pay their debts. Want to know what’s good to eat? Visit the Mercado Central Monday – Saturday from 7:30 – 2:30 and see what the locals buy. Just across the street from La Lonja, the Mercado Central is one of the largest markets in Europe and is located in the same spot the city market has occupied since the 13th century. A little way across town is the Mercado del Colon. Built in 1916 and clearly inspired by the work of Gaudi, the building was renovated after falling into disrepair, reopening in 2003 as a luxury shopping arcade with designer shops, bars, cafes and restaurants where you’ll find Valencia’s posh and trendy set. While Mercado del Colon is where the posh and trendy dwell, Barrio del Carmen is where you go to see and be seen. This lively neighborhood with its fountains and orange trees in the heart of the historic city, is peaceful during the day but becomes the center of Valencia’s night life when the sun goes down, attracting bohemians, artists, students and tourists all mix and mingle. Be sure to visit Café Sant Jaume for the city’s signature cocktail, Aqua de Valencia. Made of cava, orange juice and vodka, if this is the “water of Valencia”, it’s no wonder the people are so happy. 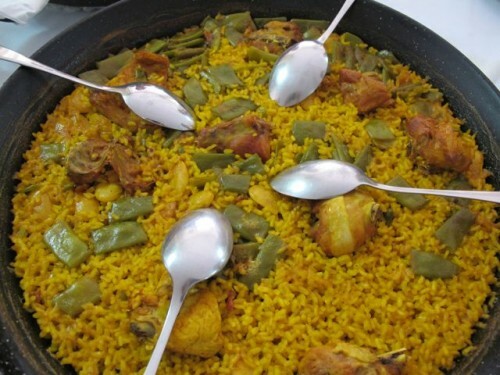 You have not fully experienced a destination until you’ve tasted its cuisine and this is certainly true in Valencia. Dining in Valencia is a real treat. Paella is without a doubt the city’s most famous dish. And though it is traditionally made with chicken, rabbit and vegetables, I opted for the seafood version at Ernest Hemingway’s favorite restaurant in Valencia, La Pepica. I made a stop at Horchatería Chocolatería Restaurante Santa Catalina to try an ice-cold horchata, the almond milk drink beloved by locals, and the decadently delightful churros and hot chocolate. All I have to say is thank goodness this place was across from a church because the churros and hot chocolate were absolutely sinful. With sandy beaches and warm weather year round, life is always a beach in Valencia. Valencia’s city beach, Playa Malvarrosa, has a 7 km promenade, a number of restaurants, parks, gardens, live music and museums, and is where I was told the “beautiful people” hang out. Enjoy a cocktail at one of the bars along the promenade before taking a catamaran tour at sunset around the port. After all of that eating, I was happy to learn about Valencia’s reputation in the area of sport. In addition to being home to the 32nd America’s cup, the Royal Marina is also the setting of Europe’s F1 Grand Prix circuit. 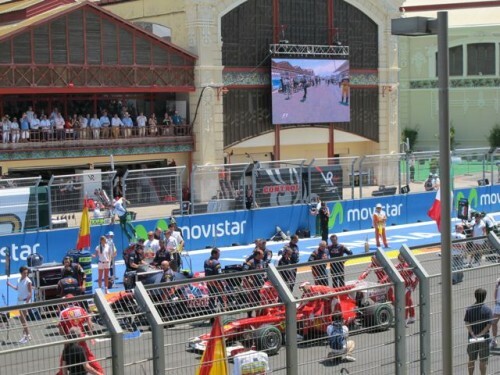 As Europe’s Capital of sport for 2011, Valencia has hosted a number of events anchored by the Formula 1 Grand Prix and the 31st edition of its marathon. My sporting adventures were limited runs and the bike tour I took with Valencia bikes and in the Jardin del Turia. The Turia was once a river that ran through the city. After a series of devastating floods, Valencia diverted the river and it is now a 12 km long park with fountains, beautiful gardens and a biopark. While on the bike tour, I got a look at the Ciudad de las Artes y las Ciencias (City of Arts & Sciences) The only way to describe this work of architectural art is awesome. 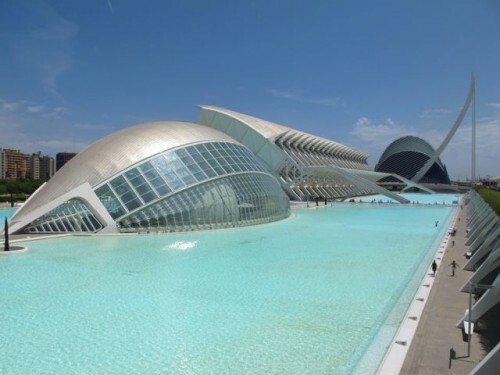 The futuristic landmark, by Santiago Calatrava, is Europe’s largest leisure-cultural complex. 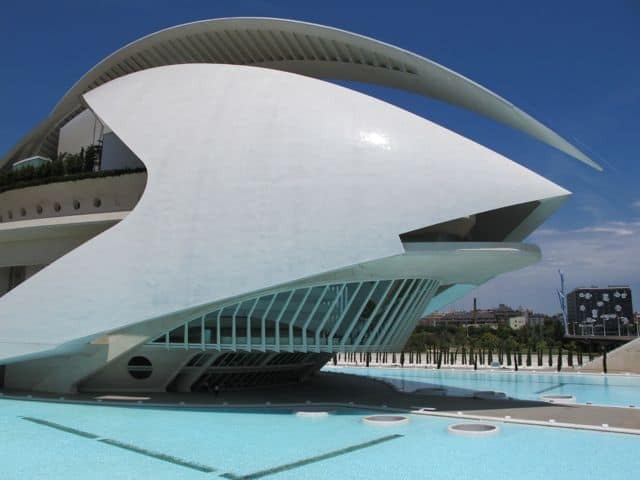 The “city” is comprised of six different cultural and entertainment destinations; L’Hemisferic is based on the human eye and houses the IMAX Dome; Science Museum Principe Felipe; L’Oceanografic, and the Palau de les Arts Reina Sofia. I could have spent the entire day at the Science Museum, but felt a little guilty since I wasn’t with my kids. 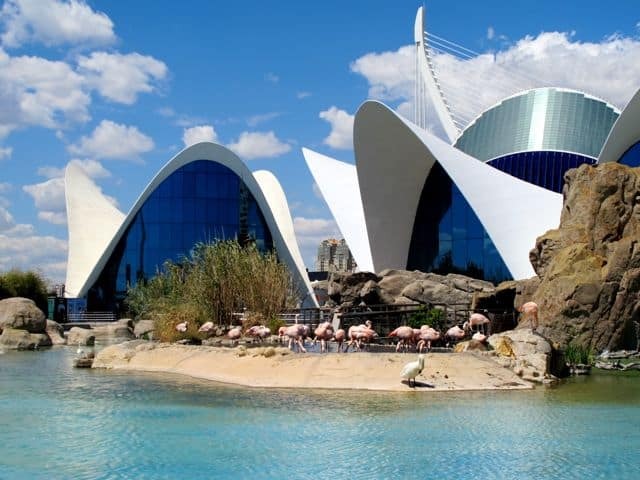 L’Oceanografic is Europe’s largest aquarium and has the only beluga whales in Europe. These are just a few of the things I loved about Valencia. I can’t wait to go back and fall in love all over again. 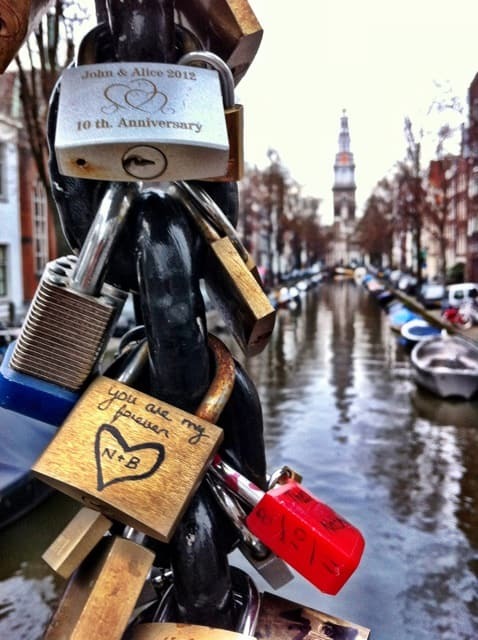 Monique Rubin lives with her husband and two children in the Netherlands and blogs about her travels with her family from Amsterdam to Zanzibar, her quest to “run the world” and expat life at Mo Travels.